Posted: Friday 27th February 2015 in Paid Media, Thought Leadership. Brand safety has been a constant battleground for Display advertising since the shift to real-time-bidding and programmatic media buying. Although this move towards technology has brought many benefits such as scale and increased targeting accuracy, there have been, and still are, many pitfalls to avoid when it comes to Display brand safety. do they need ensure the campaign serves on relevant content, but that it is also safe and in keeping with the client’s brand. Placement blacklists: A list of excluded sites and placements which you do not want to buy ad space from. Placement whitelists: A list of sites and placements that you want to buy ad space from based on your campaign objectives. Keyword negative lists: A list of unwanted keywords that you do not want triggering your campaign. Site category exclusion filters: A predefined list of site category options that allow you to exclude sites, content and ad placements based on specific criteria. Frequency capping: The ability to limit the number of ad exposures a user will receive per campaign, ad group or creative. Ad verification software: Technology that helps ensure your ads appear on intended sites and reach your targeted audience. Check that your Display partners, such as ad networks, ad exchangers and DSP (Demand Side Platform) providers share your value of brand safety. The Joint Industry Committee for Web Standards in the UK and Ireland (or JICWEBS for short) provides a list of approved and certified vendors that adhere to their ‘good practice principles’ for Display brand safety. Two heads truly are better than one. Brand safety affects all within the industry and it is mutually beneficial to reach out to key partners and vendors for support. Therefore contact your key partners or providers and ask if they have any tools or blacklists that you can employ. Look to digital brand safety organisations such as the ‘Police Intellectual Property Crime Unit’ (PIPCU). The PIPCU has been tasked with fighting online piracy, and in June launched the ‘Infringing Website List’ (IWL). The IWL consists of websites which infringe intellectual property and copyright and have been deemed illegal by PIPCU. All these steps provide more control over where ads appear or, more pertinently, where they do not. 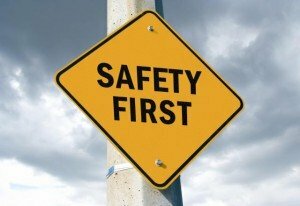 Following the above tips will help guarantee that brand safety remains at the forefront of all you do! If you have any questions or would like to know more, contact Dave Trolle on (01482) 876 876.